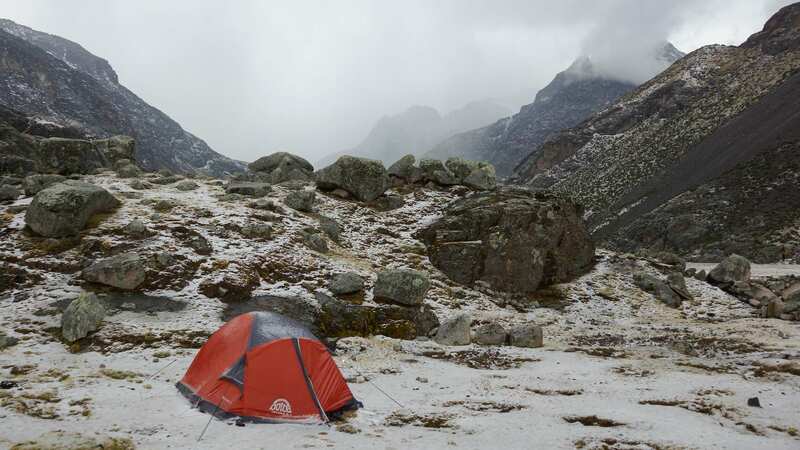 The Chachakumani campsite is a well-used spot since it also serves as a mountaineer’s basecamp for summit attempts on Nevado Chachakumani. The local community has even installed a deep pit toilet on the upper perimeter of the site. 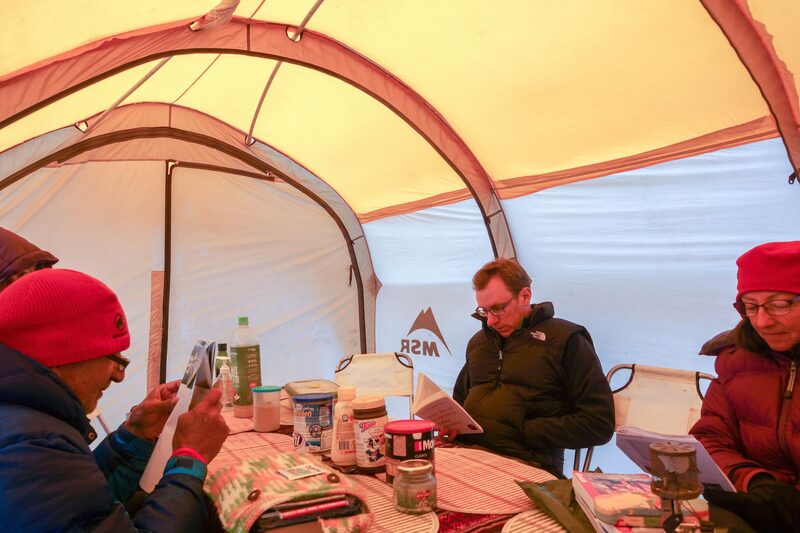 As it did at each of our campsites, our trek crew also set up a toilet tent nearby. It was a roofless chest-high four-sided screen with a two-foot-deep hole in the middle. 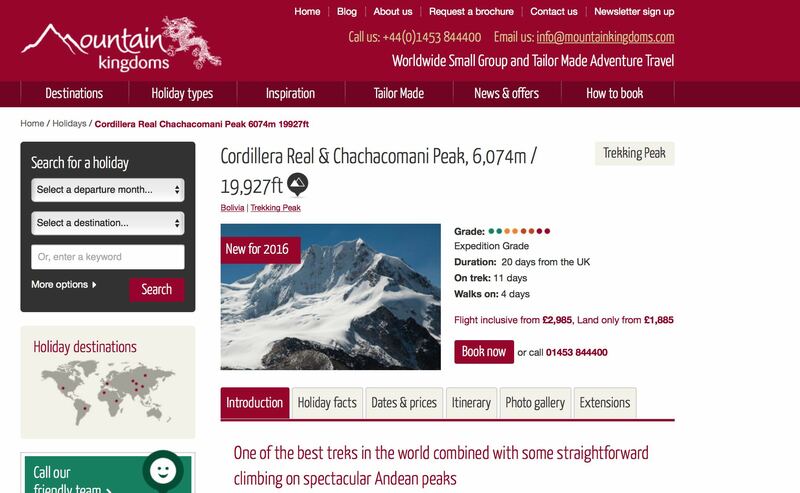 An excellent Wordpress site dedicated to various mountaineering objectives in Bolivia, Bolivian Climbing Info, has an image of Chachakumani on which various routes up to the top are indicated. The routes all focus on the South Face or the Southeast Ridge and are graded from AD (Assez Difficile) to D (difficile). AD: Assez Difficile/fairly hard. Steep climbing or long snow/ice slopes above 50º; for experienced alpine climbers only. TD: Très Difficile/very difficult. Long, serious, remote, and highly technical. ED: Extremement Difficile/extremely difficult. The most serious climbs with the most continuous difficulties. Increasing levels of difficulty indicated by ED1, ED2, etc. I’ve only done climbs rated a lower grade of P.D. and one A.D. climb in the Bugaboos, a magical climbing area in British Columbia, Canada where I felt pushed to my limit. I’ll leave the above routes to those with a skill set and fitness level beyond mine! Update: There is an easy way up Chachakumani! See the end of this post. After six straight days of sunshine and clear skies, it snowed and rained on our rest day! As the pix will show, however, the light cover of snow did not stay for long and by late afternoon it was mostly all gone. 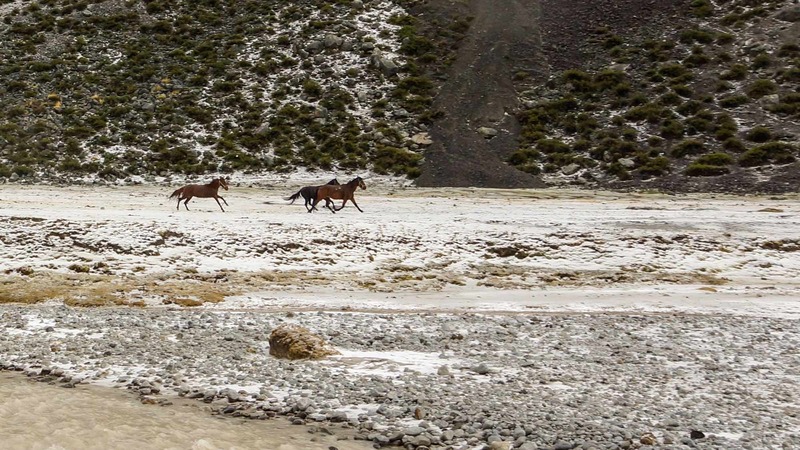 I did get a bit restless and spent a couple of hours walking up-valley, where I met some horses belonging to the Chachakumani community about eight kilometers at the other end of the valley. As for some views of the mountains, we would have to wait until the next morning for things to clear up a bit. If nothing else, the daily clouds coming over the Cordillera from the east was a reminder that there is a very different world – warmer and much more humid – within a few kilometers of the stark and fairly desolate alpine terrain we were traversing. Update: On my return home, I visited the Mountain Kingdoms website and an interesting new offering for 2016 popped up. 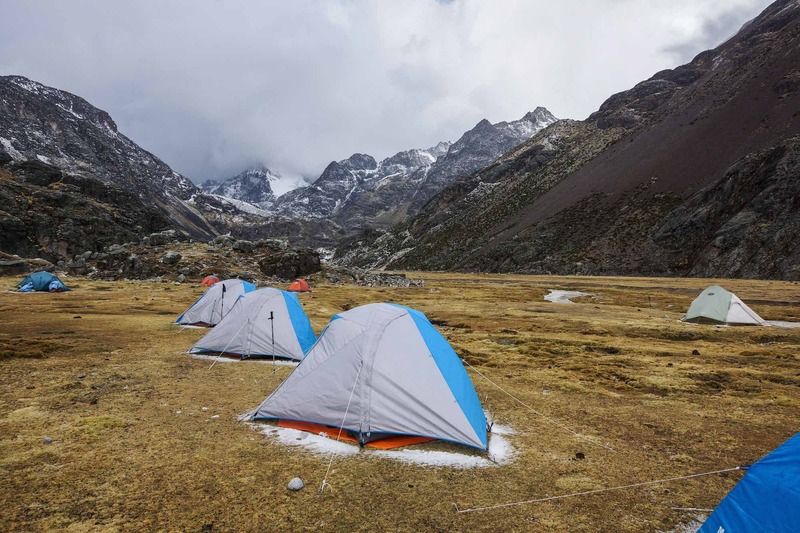 From our base camp on the Chachacomani River we have four days to make the ascent of Chachacomani Peak, traversing glaciers and climbing ice and snow slopes. I’ve indicated the approximate route of the Mountain Kingdom route on the satellite image of the Chachakumani area below. 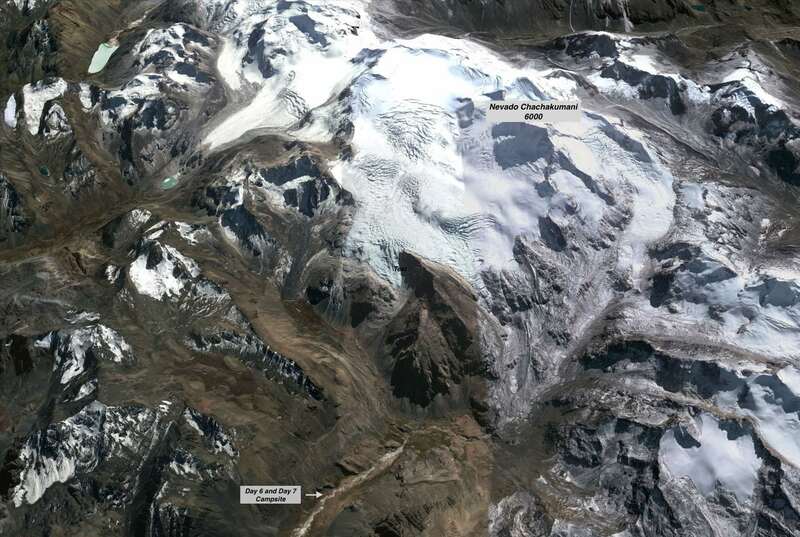 It is a ten-kilometer walk from the base camp to the summit. 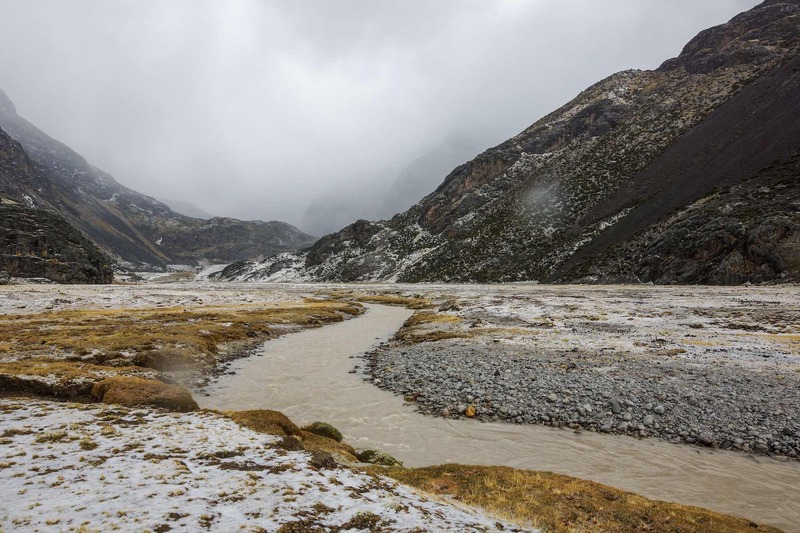 It is likely that on Day 1 the team would climb to a high camp at the edge of the glacier; Day 2 would see an early wake-up and walk across the glacier to the top and then a mid-morning descent back to the high camp and on down to base camp. If you have more info on the Facile ( easy) route that would add some detail to my description or correct any wrong assumptions I’ve made, please send me a comment!